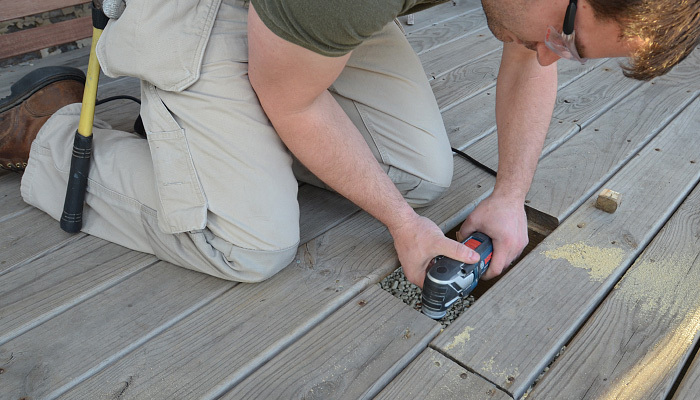 Even the best-protected deck boards are susceptible to twisting, rotting or cupping. And usually it’s that board in the middle of a 30-foot run that’s the issue. A pry bar or a claw hammer can be used to remove the compromised piece, but it’s easy to injure boards around it. The smart option is to do some strategic cutting. 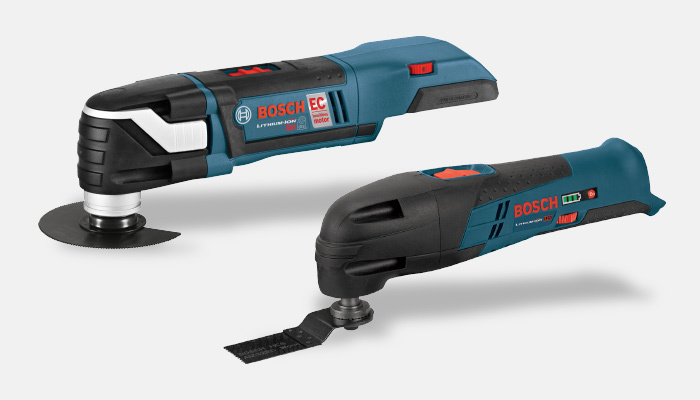 An oscillating tool, such as the Bosch multi-tool and its many cutting blades, is well suited for this job. Start by using the oscillating tool with a wood-cutting blade to remove a board section between the joists to allow access, then make a quick change to a metal-cutting blade and get between the remaining boards to cut the nail or screw fastener. 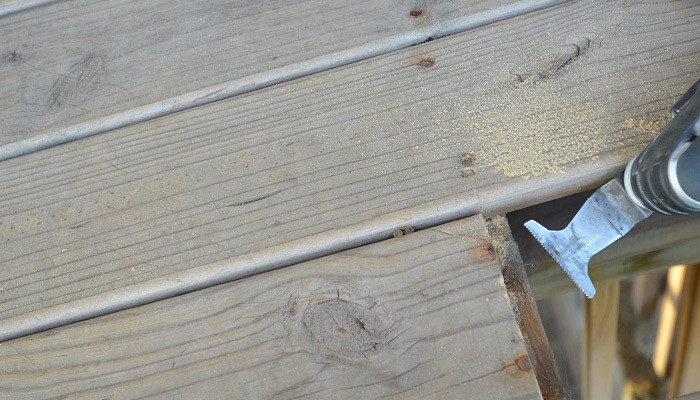 Once the board is removed measure the opening, cut a new piece of treated lumber and attach with a galvanized fastener. Be sure to allow for 1⁄8-inch expansion. Now that’s a repair with an oscillating tool that saves both time and money. And this process can be used on handrails as well. Stairs face the same heat and weather abuse that deck boards do, so they can easily become cupped, with the front of the step higher than the remainder surface. This is another job for the oscillating tool. There are a couple of options for reworking your existing stair. 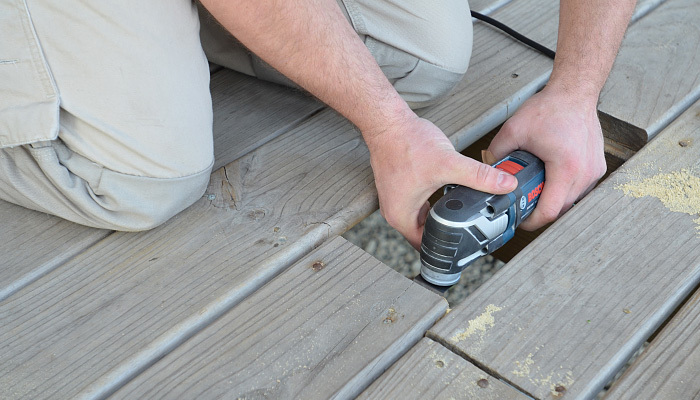 Using the oscillating tool’s rasp accessory work down the high spot at the front of the stair, then follow up with a multi-tool’s sanding triangle to smooth the surface. An alternative for addressing high corners is to place the oscillating tool’s segmented cutting blade flat on the stair and then push it toward the high spot to cut away the excess; sand to smooth the surface.